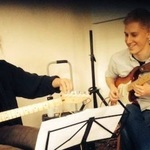 Music Tuition in Nottingham - Book Private Music Lessons Online! 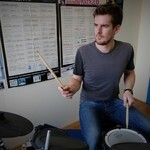 Use Musician Go to book music lessons with local teachers in Nottingham. Musician Go is a brand new, free-to-use online community that aims to connect musicians with local music teachers. It could not be easier to find what you're looking for. Our comprehensive search functionality allows you to quickly refine search results to list only those music teachers that meet your search criteria. All teachers listed on our website have personalised profiles, where they can upload videos and audio recordings of themselves performing to enable potential students to quickly decide whether they'll be right for them. Use our in-built instant messaging service to communicate with local music teachers in your area. Musician Go aims to help all instrumentalists - no matter what their level of ability or experience is - find new music teachers to help harness their talent. Discover new music tutors near where you live. 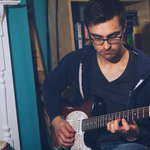 Whether you're looking for guitar, drums, bass or piano tuition in Nottingham, you can use Musician Go to find what you've been looking for.